Host a successful meeting or private luncheon at our meeting space in Savannah, Georgia! 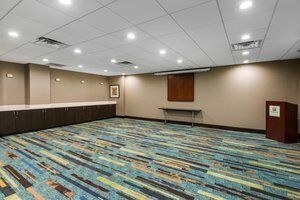 Our 1,000-square-foot meeting room has space for intimate events of 55, such as a corporate presentation, team meeting, or family party. Our experienced events team is here to assist with set-up, on-site catering, and any help you may need to run a smooth meeting in our Savannah event space. Fill out our Meeting Room Inquiry Form below. Keep everyone focused on the task at hand in this versatile room. Take your event to the next level with our on-site equipment and services! Audiovisual services: Host a better meeting with A/V equipment such as a digital projector, LCD television, and podium to speak from. Materials: Brainstorm with your team on the whiteboard or share ideas on flipcharts with markers. 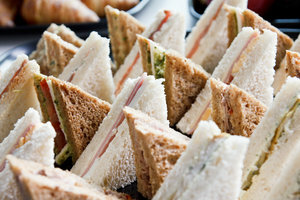 Catering: Host a lunch meeting or supply your group with a coffee break and snacks. Our team will help coordinate on-site catering made fresh at our restaurant or approve off-site caterers of your choice. 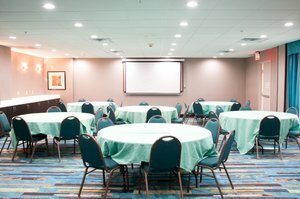 Book our meeting space in Savannah, Georgia today for intimate corporate events that run smoothly.